Your body mass index, or BMI, is a general indication of your percentage of body fat. It's a mathematical equation based on the ratio of your weight and height. It's not as accurate an assessment as an underwater weighing, or even a skin-fold test using calipers, but it can still give you a good indication of your risk for developing certain diseases associated with obesity, such as type-2 diabetes, cardiovascular disease and high blood pressure. Calculate your BMI. You'll need to know your height in inches and your weight in pounds. Divide your weight by your height squared. Multiply that number by 703. An adult who is 5'6" tall and weighs 160 lb. has a BMI of 25.8. You could use an online BMI calculator to do the equation for you. Check if your BMI fits into the normal range. Any BMI between 18.5 and 24.9 is considered normal. A BMI under 18.5 is categorized as underweight. You are considered overweight if your BMI is between 25 and 29.9. If your BMI is 30 to 39.9, you are obese. Any BMI over 40 is classified as morbidly obese. These categories are for adults over 20 years of age. There are other ranges for children and teenagers, divided by gender. Discuss the results with your doctor. The body mass index may not be a good indication of your body fat level if you are pregnant or a serious athlete. Athletes might have a much greater percentage of muscle mass than the standard BMI formula allows for. 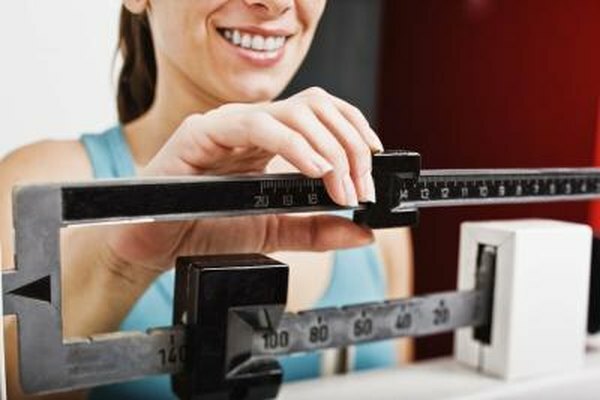 Your BMI is just one tool for determining your risk of weight-related health problems. Other factors include family history and underlying illness.